The Internet just endured the longest Twitter outage in eight months. And it's still kind of busted. WTH Twitter? YRU being such a shithead? What are we supposed to do? Work? 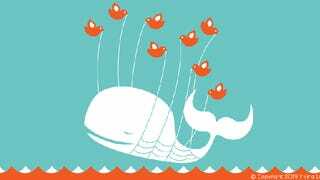 TECHNOLOGY RED ALERT: Twitter is down! What do you do next? You need to be prepared. You can't count on the National Guard to save you—you'll have to save yourself. Here's are the bookmarks you'll need to get to the other side of the Internet dark ages. The worst thing that can you can do is panic. There's nothing at Twitter Dot Com. Before you do anything drastic, head over to Calming Sounds, and throw on the relaxing mix of crashing waves and rain. You have a plan. You will get through this. Now that you've got your wits about you, what you need is actionable information. Is Twitter really down? Down For Everyone or Just Me might as well be the emergency broadcast system for the Internet. Since you can't use Twitter to tell everyone that Twitter is down, the only way to complain to all of your friends is by turning to Facebook. Yup, Facebook is still there. And don't worry, everyone will see your update because they're is doing the same thing. After you do that, close Facebook. Do not continue to post on Facebook as if it's Twitter because that's really, really annoying. We're going to get through this, but not like that. Post-Twitpocalypse, the Internet regresses to a medieval state of enlightenment. You'll need to be resourceful. Remember Google Reader? Before the outage RSS seemed so slow and antiquated. Now it's your fastest portal to information. Browse your feeds like it's 2006, and remember the good old days when Twitter was still working. You're calm and you've satisfied your need for loads of content, but now it's time to get down to business. What was that thing you were supposed to be doing instead of Tweeting about your lunch? Yes, folks, Twitter is down, which means it's time to actually do your job. Switch off the calming music and dig into this exceptional Motorhead playlist to fire yourself up. If 71 tracks of hard-hitting British heavy metal doesn't get you get you going, nothing will. Ahhhhhhh! Noooo! Not work! This is horrible. Despite all of your preparations, everything is going to hell. You are going crazy. Is the world ending? It's time to go commiserate with the folks on apocalyptic Subreddits. Collapse and Post-Collapse offer the finest fatalist paranoia you can find. These guys spend their lives waiting for the end of the world—and here it has arrived. You've done great through this catastrophe, but sooner or later, you're going to start to lose it. To get a fix of real-time information from strangers, head over to China's Twitter knock-off, Weibo. You can translate the site, and actually register, if you like, but it's pretty satisfying to just watch the stream of translated Weibo tweets on the service's front page. Much of it reads like gibberish after translation. So, you know, it's not that far off from watching your regular Twitter feed.